Things are about to get EVER-FREAKY around here, mostly because my book comes out in 4 DAYS!! I am EVER-excited, and to prove this, I'm going to put "EVER" in front of every single adjective! Sorry for the sporadic blog posting this week and last, but I've been on a cruise. Sam didn't want me to mention it until after we were back, because he was nervous that burglars religiously follow my blog, just waiting for the moment I mention that we're going out of town. So, for all of you religious burglars out there: BAZINGA! You've just been EVER-BAMBOOZLED. Ha HA! The bottom is just made up of stacks of paper. Because that's the one thing you can't get everywhere. He zipped it all up and headed for the door. Sam had to break it to him that we weren't leaving for another 24 hours. The Yoshi's were not impressed. And I want to celebrate. Would you like to win a personalized copy, complete with autograph, from my own personal stash? 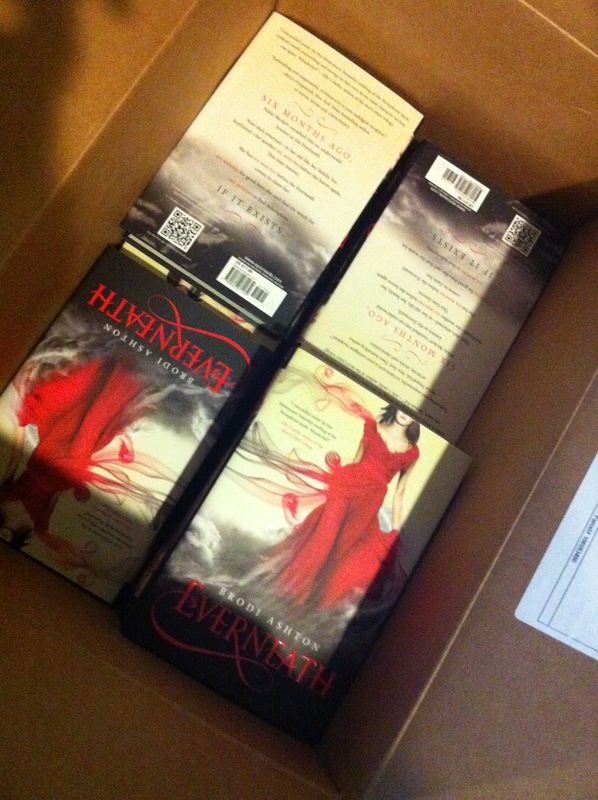 Along with some EVERNEATH swag like temporary tattoos, a guitar pick necklace, and signed bookmarks? That, my friends, is what the people-in-the-know call a PRIZE PACK! Here's your chance to win it. All you have to do is pre-order my book, and you're entered to win! Now, I know some of you are thinking, "But if I pre-order her book, and then I win... won't the space-time continuum implode?" Wait, that wasn't what you were thinking? Oh. Then maybe you were thinking you'd end up with two books. And I say... what's the problem? Double the fun! Do you have a friend who has a birthday ever? This would be perfect! How about a holiday that shows up once a year? Excellent. So, pre-order my book from places like Books A Million or Barnes and Noble or Indiebound or anywhere else, and then leave me a comment telling me you pre-ordered the book, and you're entered! Just make sure you include where you ordered it from, your confirmation number, your credit card number and your social security number, along with your mother's maiden name. Again, I jest. There's no real way for me to tell if you're lying. So, we are making a gentlemen's agreement. But just for fun's sake, tell me where you ordered it from. :) And if you already pre-ordered, EVER-thank you! And yes, that counts too. Okay! That's it! And again, don't forget that everyone's invited to the launch party at The King's English on Tuesday at 7:00 p.m.
My copy is pre-ordered! On Amazon! EVER-SWEET, yes??? I would TOTALLY LOVE a signed copy, or a bookplate for my not-signed Amazon copy if I don't win for some EVER-CRAZY reason. Jenna- Haha! I would rather have people offer to take my first born! Preordered - should be uploaded to my tablet in four days. I've already planned my life to not need sleep so I can just read your book. I preordered my copy from Overstock, and it'll ship out on Tuesday. SO excited!!! Definitely wish I could make it to the launch party in Salt Lake. Alas, school. 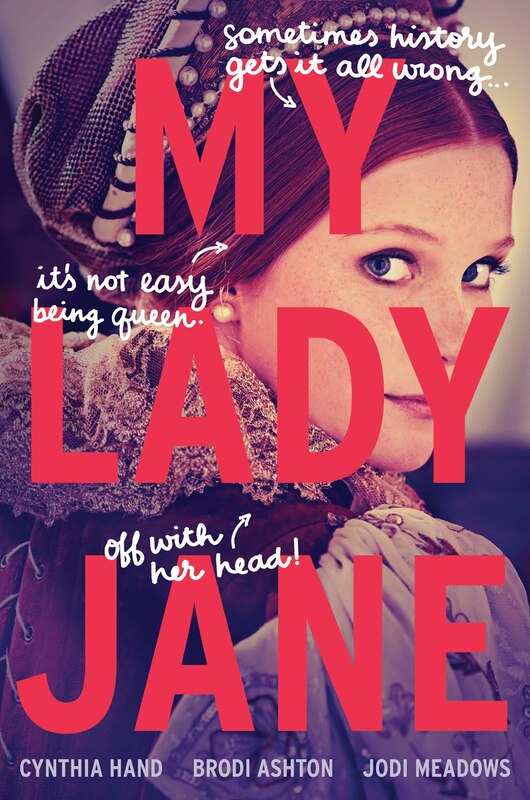 I preordered from Amazon as well--my sister (who read an ARC) tells me it is Amazing. Well I would preorder, but I can get it faster by looking it up on Barnes and Noble at 10 pm on Monday and getting it on my nook, instead of preordering of having to wait for b and n to decide when i can finally download. i am too excited to wait for the 2nd option. Brod - I wanted to buy my copy Tues night so you can sign it right there. Remember you're going to sign it "Michael Jackson?" I know that doesn't count for the prize pack. But wanted you to know we'll be there Tuesday night. And we're super excited!! We as in your original "six." ;) And fun to see Rosalyn comment here. She's on staff with us @ Segullah. Yes! Buying it from King's English on Tuesday night totally counts! I should've mentioned that. Swag is always good. Love what Kid B packed and can't wait to hear about the cruise . . . and your launch! And there is nothing in the world that can go so wrong that four multi-colored Yoshis can't fix it. I pre-ordered mine on Amazon! So excited to read it!! I pre-ordered mine from The King's English. Kind of. I'm going to buy it when I get there on Tuesday. Please tell me that counts!! I want to support my fav local book store. Thanks for this fun celebratory giveaway! I ordered it from Amazon and even paid the extra for 2 day shipping so that it will arrive on the release date! :) Way to go,lady! Hope you loved every second of the cruise! Congrats on your release! I'm loving the guitar picks! 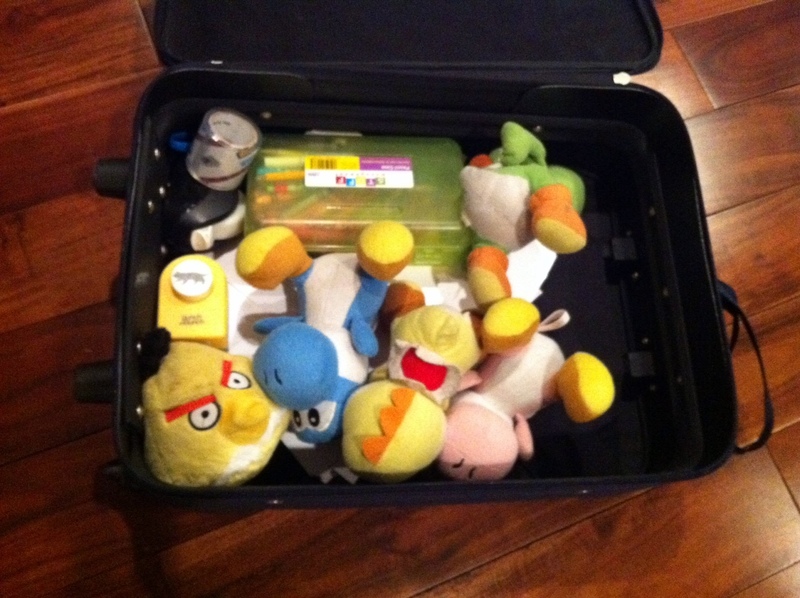 Btw, that's totally how my kids pack too. One of them slept over at Mom's the other night & she called to ask why he only brought underwear, toys & a magnifying glass?! 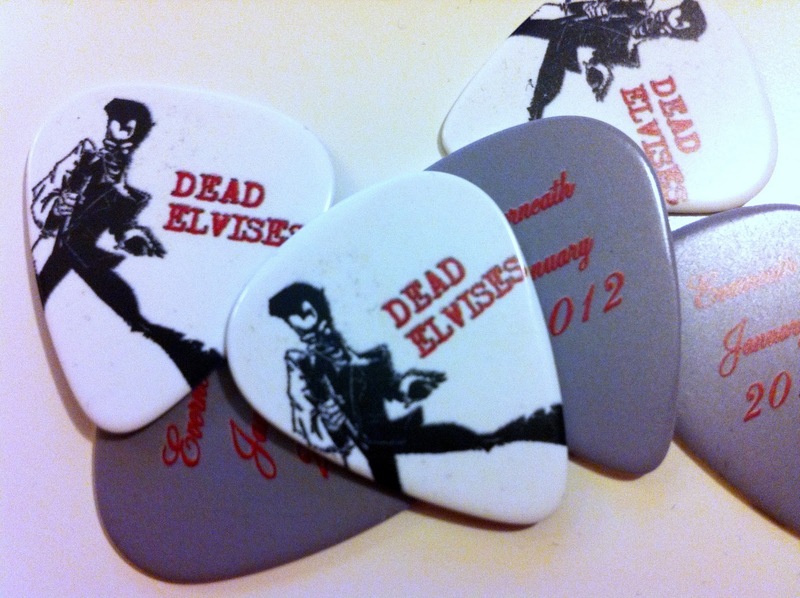 And I have a couple of kids who would totally dig on the guitar picks. I just pre-ordered on Amazon. If I don't win, promise you'll sign that one at LTUE, K? :) Also, I'm going to need one of those guitar picks--what do I need to do for that? I just preordered the book from Amazon. I can't wait!!! I love your son's priorities, especially the angry bird. lol My 2 year old is already obsessed with them. Well dang it! Now my plans to break into your house and steal your harddrive so I can read Everneath2: Everneathier have been foiled. Blast! Hiss! But on the bright side, I am going to buy a copy at TKE on tuesday and I'm super excited that it counts for the contest! If I win, I'm going to give my extra copy to my cousin who's cousin is at Huntsman's fighting cancer. (I told you about him a couple months ago.) He was in ICU a week ago on a ventilator and we weren't sure if he was going to make it, but I went and saw them yesterday, he was sitting up in a chair, no oxygen, talking and eating. Still SO very sick, but what a fighter. I figure my cousin could use the distraction of an amazing book like yours. If I don't win, I want to buy her a copy anyway... so um, when are you announcing the winner? Um my cousin who's *husband* not cousin. Wow, sleep deprived much? Yeah, I am. I pre ordered mine on amazon.ca (does it count if I live in canada??) aaaand I happen to live near the wear house that ships it sooo it came early!!!! I read it in less then 24 hours and it was AWESOME!!!! I'd love to have a signed copy since I live so far far away and can't go to any parties :( I love the guitar pick necklaces by the way they're GORGEOUS!! Whooo Dead Elvises!! I've had the book pre-ordered for like 3 weeks! I ordered it from barnes and noble. I'm soo excited to read it!!! I pre-ordered my book from amazon! I can't wait to see who wins! I actually pre-ordered mine from the book depository, but it won't get to me for at least 12-14 days. *INSERT EPIC SAD FACE HERE* I will legit be crossing off the days on my calendar daily and possibly counting down the days also on my fingers because... I'm just a nerd. Sigh. I can't wait to get my hands on the actual book after reading so many great reviews from those who had the ARC. And the swag is SO cool. I don't even need all of that, although everything is really nice, just a bookmark would do it. Thanks for the awesome giveaway, Brodi! I actually already have my copy! And I just finished it today....... LOVED it! Can I still enter? 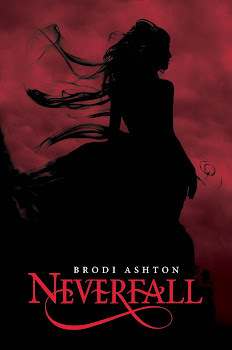 I pre-ordered Everneath months ago from Amazon (even though I already have an ARC, I really want a finished pretty hardcover copy for my shelf!). Thank you for the giveaway--that swag looks so awesome! I'm so very excited for you Brodi! I also have to apologize because sadly I won't be able to be at launch night. My sister's having emergency surgery and I'll have her daughters. =[ But just know I'm there in spirit, love the heck out of Everneath, and am hoping you sell a billion copies!!! I'm totally buying a copy at the book launch tomorrow. It will take at least 7 torturous days to arrive (to Hungary) but I am sure it will be worth it! Thank you for the chance to win, can't wait to read Everneath!